Why have we failed to create the happy, peaceful world that we all want? Are we even capable of it? And if so, what must we do? For more than thirty years, Jalaja Bonheim has explored these questions in her work with women healers, leaders, activists and spiritual seekers from around the world. Jalaja joins us to talk about the path to making peace with ourselves and with our world and how we can learn to build a new relationship with our sacred ego. 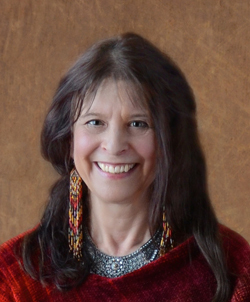 Founder and director of the Institute for Circlework, Jalaja Bonheim, Ph.D, is one of the world’s foremost experts in the use of circle gatherings as a tool for empowering women. A uniquely skilled facilitator, Jalaja has trained hundreds of female circle leaders from around the world and is internationally known for her groundbreaking work with Israeli and Palestinian women in the Middle East. Growing up German and Jewish in post-war Germany, Jalaja struggled to make sense of the events that had left both the German and Jewish people deeply traumatized. This struggle guided her work and led to new views. Now an internationally acclaimed author and speaker, she shares stores, insights, and hope—grounded in decades of practical experience—with her global audience. Find out more about Jalaja and her work at jalajabonheim.com.